Welcome to the ever expanding web presence of Long Island Marine. We are in the process of relocating our site here and adding many new features. 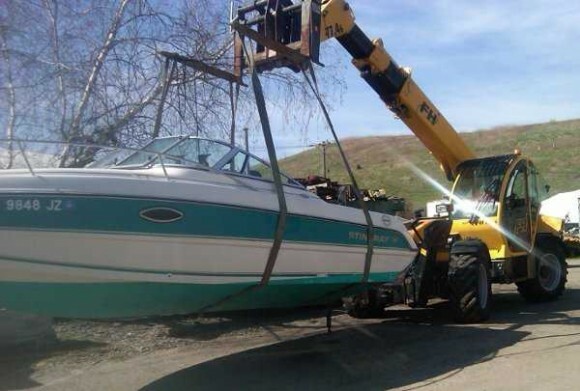 We are an experienced team of boat haulers, mechanics, parts re-builders, and boat salvagers. We are located on Long island NY. Although we are located in Suffolk County we also offer our services to our neighbors in Nassau County. We are in the process of putting together a shipping department so we can ship from our used and rebuilt parts department any where in the country. 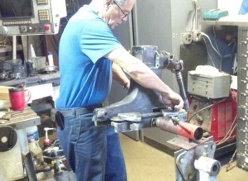 We have a guy who’s been a marine mechanic for thirty plus years and is now rebuilding outdrives and selling them completely overhauled. We are also taking in outdrives from people who need them serviced and repaired. Feel free to use the navigation buttons at the top to find anything boat you can think of. We are a small company whose purpose is to service the Long Island area boaters and hope to make repeat customers at of them all. 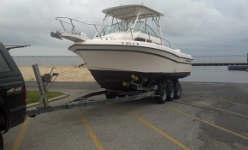 Store your boat or trailer with us at our very secure yard located at the center of Long island. Up to 8 ft. Beam $10 a ft.
Up to 10 ft. Beam $12 a ft.
Up to 11 ft. Beam $14 a ft.
All of our prices include materials. We are boat shrink wrapping specialists offering zipper doors as well as venting for all of our Long Island Customers.